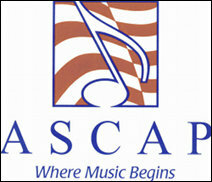 NEW YORK (CelebrityAccess) — ASCAP, the American Society of Composers, Authors and Publishers, has announced the results of the election for their new Board of Directors, who will serve the PRO for two-year terms beginning April 1st, 2015. Chaired by Paul Williams, the board consists of writer member at large Marcus Miller. In addition to Paul Williams, the writer members who were re-elected in the at-large field are: songwriter Marilyn Bergman; composer Richard Bellis; composer Bruce Broughton; songwriter-producer Desmond Child; composer Alf Clausen; composer Dan Foliart; songwriter Valerie Simpson; songwriter Jimmy Webb; and composer Doug Wood. Elected in the Symphonic and Concert field is composer Alex Shapiro. The publisher directors re-elected in the at-large field are: Martin Bandier, Sony/ATV; Caroline Bienstock, Bienstock Publishing; Barry Coburn, Ten Ten Music; Laurent Hubert, BMG Gold Songs; Dean Kay, Lichelle Music; Leeds Levy, Leeds Music; Mary Megan Peer, peermusic; Matt Pincus, SONGS Music Publishing; Irwin Z. Robinson, Cromwell Music; Michael Sammis, Universal Music Publishing Group; and Cameron Strang, Warner Brothers Music. Re-elected in the Symphonic and Concert field is publisher James Kendrick, Schott Music Corporation/European American Music Corporation.